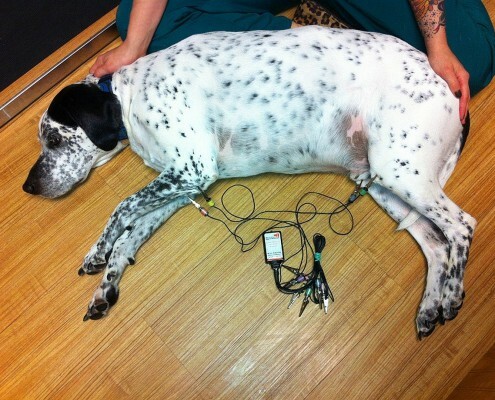 Smallest wireless 6-Lead resting ECG monitor currently available for veterinary use on small and large animals. 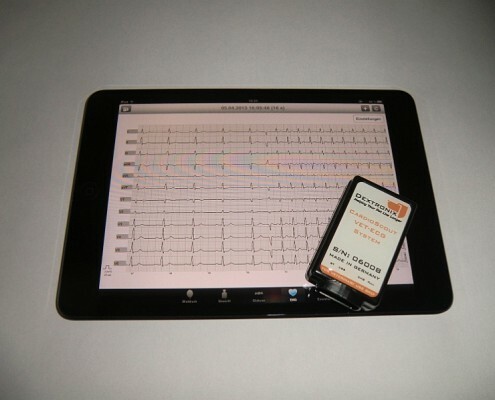 Real-time ECG display on mobile devices or PC/Mac. Easy and fast data analysis, print and email functions. Certified Made for Apple iPad and Android. 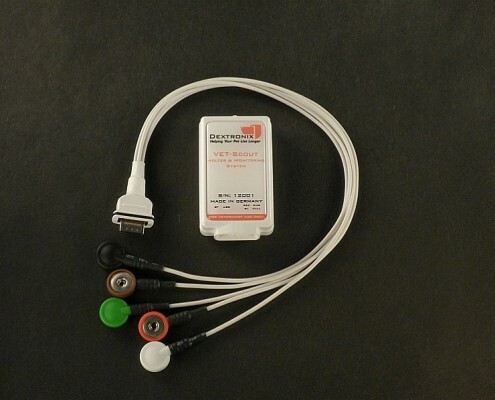 Wireless Holter monitor with 3 or 7 day continuous recording capacity. Autostart function for users without computer access. 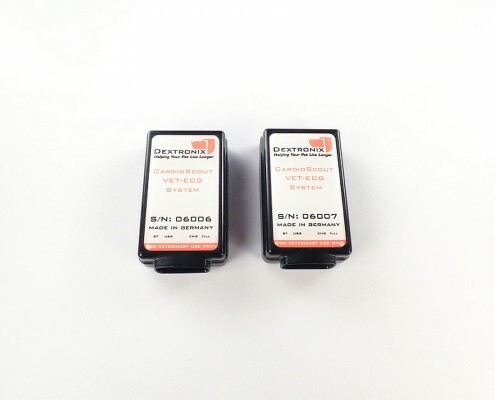 Effective data compression for fast and reliable data transfer. 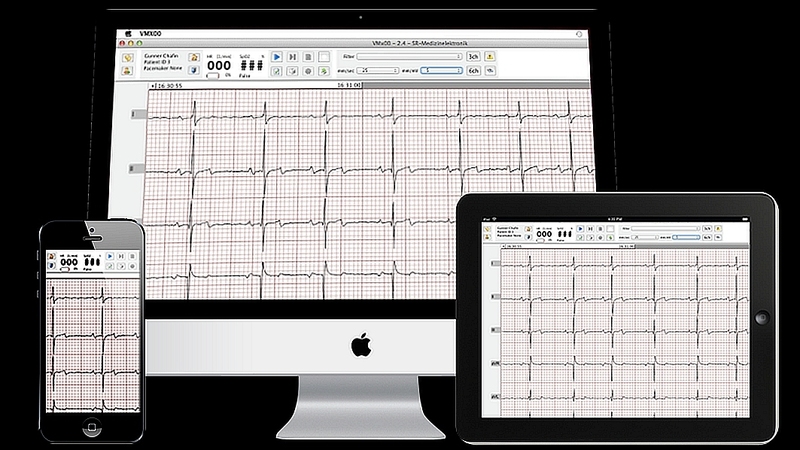 Advanced analysis software designed for professional cardiologists in mind. Advanced remote monitoring system for emergency and critical care units. Small wireless transmitter size suitable for use on cats and dogs. Telemetry supports up to 21 transmitters in parallel. Easy to use and versatile software platform. 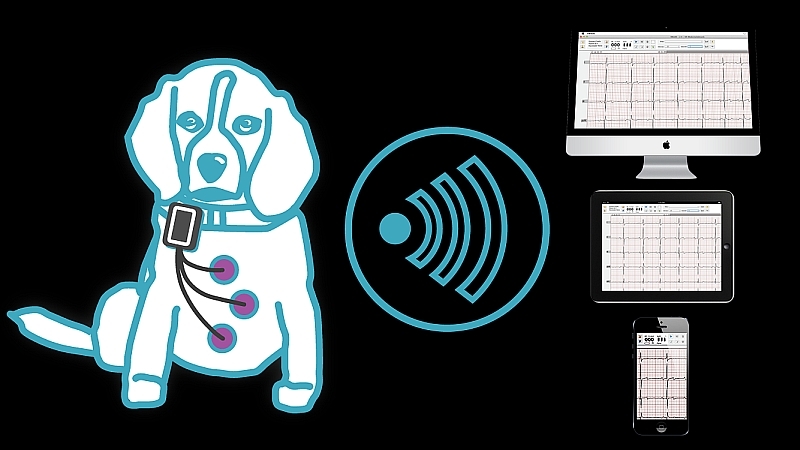 VET-ECG and VET-Scout combine the latest technologies in digital heart monitoring. 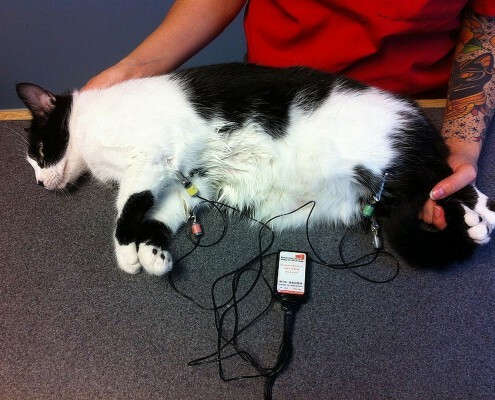 The miniaturized recorders are the smallest wireless transmitters currently available in veterinary medicine and suitable for cats, dogs and horses. 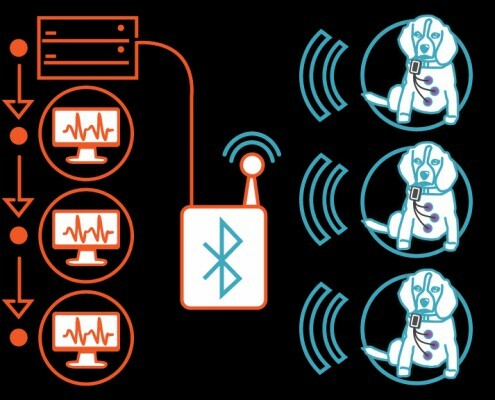 Secure Bluetooth technology enables real-time viewing of cardiac events and immediate interpretation. 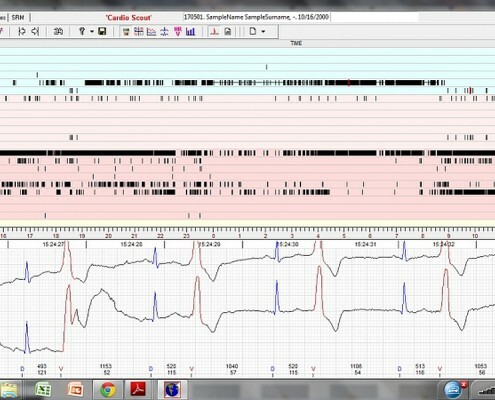 Multi-day Holter recordings can be downloaded offline and analyzed via the feature rich CardioExplorer software. Customizable software modules can be scaled to meet the specific needs of general practitioners, cardiology professionals and critical care specialists. All recordings can be easily edited, analyzed, printed or shared via email or network server. Report generation is automated and the entire process from recording to results is optimized in a way that saves the user a lot of valuable time. In addition to the Windows and Mac computer software mobile Apps for Apple and Android devices are available for download. These Apps offer additional safety, convenience and comfort for mobile users expecting very advanced and state of the art cardiac monitoring technology. The 6 and 12-Lead multi-channel VET-ECG is the perfect solution for mobile practitioners and in-hospital users looking for the most advanced resting ECG available for veterinarians today. 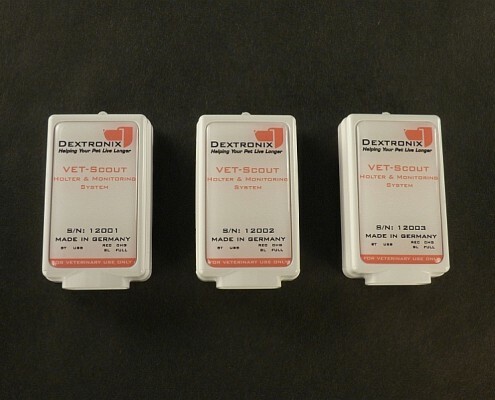 The 2-channel VET-Scout offers long-term Holter functions that can transmit live over several days and in parallel stores the entire recording of all events on the build-in memory card for later offline analysis. Both systems connect to our advanced telemetry platform powered by WAP-access-point technology which provides live online supervision and wireless control of up to 21 patients in parallel. “With the VET-ECG system I can easily record high quality, standardized ECGs in my patients on all of my Apple devices and instantly analyze and demonstrate the results for my clients. Portable. Compact. Precise. The VET-ECG has all the capabilities of a large 12 lead electrocardiogram that typically requires a cart to move it briskly throughout the hospital. You can simply place the VET-ECG in your pocket. The unit uses Bluetooth technology to seamlessly connect with your laptop to display the electrocardiogram. The data can be easily placed into a PDF, printed and/or stored as part of the electronic medical record. This lightweight unit is rapidly becoming the new standard for portable 6-12 lead electrocardiography. 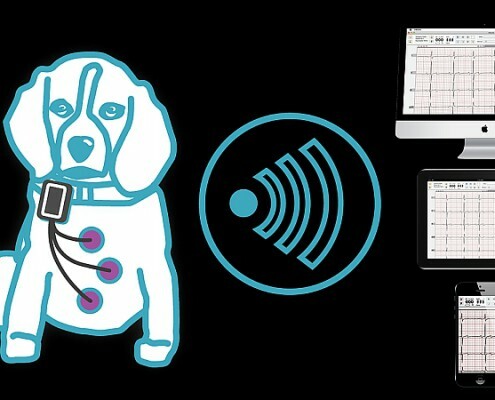 I have been using the VET-ECG system for well over 500 cases now and am blown away by the ease of use, accuracy, and portability! 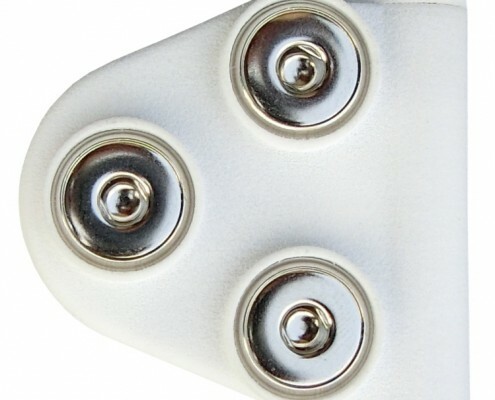 The ECG quality is outstanding and measurements are ‘point and click’ precision. This system allows setting automatic or continuous recording periods, post-processing and selective lead viewing, and variable filters for artifact. With no effort, I have a digital ECG or exported PDF. Serial comparison of ECGs (lead by lead if desired) is easy. 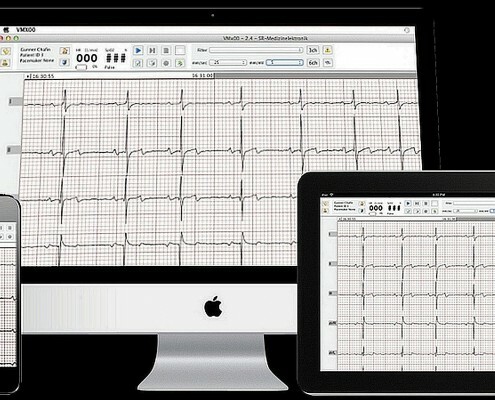 Every ECG is automatically saved without extra clicks. It works beautifully on dogs, cats, birds, rabbits, polar bears, and ferrets! Clients are always fascinated that I get so much information out of such a tiny little unit. I have the ability to carry the most advanced diagnostics and up to a 12 lead system in my pocket. I could not speak highly enough of this system and continue to enjoy using it on a daily basis!